Our new ABI Sunningdale caravan is located in a quiet cul-de-sac in the newly developed Osprey area of Kiln Park. It benefits from double glazing and has gas central heating throughout. The entertainment complex, indoor and outdoor pools, shop and laundrette are a 5 minute walk away and Tenby's famous South Beach and historic town are a 10 minute stroll. The lounge has comfy L shaped seating, an electric fire and a large flat screen TV with built in DVD player and Free-view. There are double patio doors opening onto a spacious gated decking area complete with new comfy rattan seating. The modern kitchen area is spacious and well equipped with cooking utensils, pots, pans and crockery. 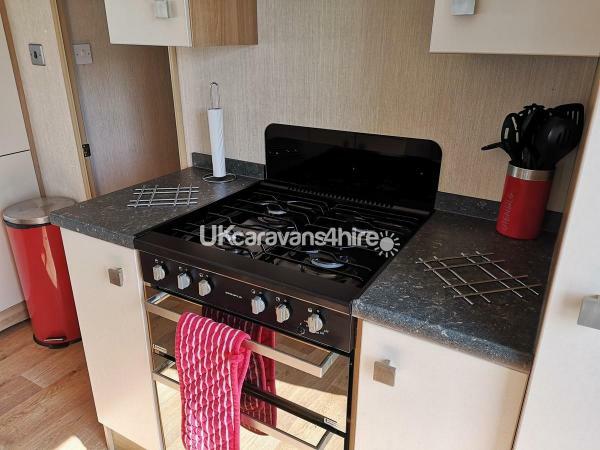 There is a full size fridge freezer and full size gas hob and oven. There is also a hoover, iron and ironing board. The dining area has a free standing table with 4 chairs. The master bedroom has a double bed with storage underneath, two single wardrobes with extra storage above the bed. There is also a flat screen TV with built in Freeview and an en-suite bathroom with toilet and sink. The 2nd and 3rd bedrooms have a unique spacious design. Both have two single beds with ample storage space. Duvets and pillows are provided for all beds. Please bring your own bedding. The main bathroom has a spacious power shower, toilet and sink. 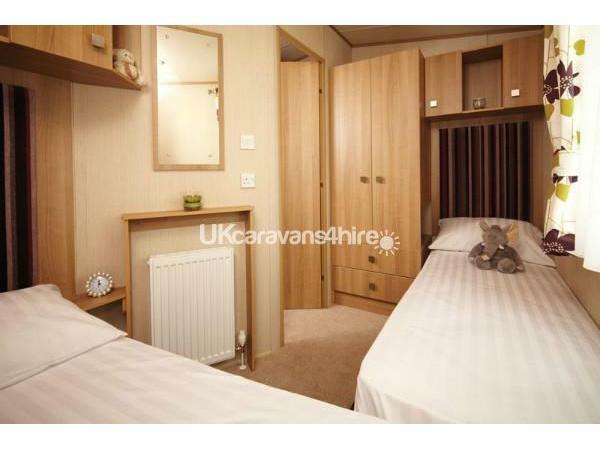 The caravan has full gas central heating throughout. Gas and Electric is included in the rental price. Short breaks and full weekly bookings accepted. PLEASE NOTE - BED LINEN, TOWELS AND TEA TOWELS ARE NOT INCLUDED. ENTERTAINMENT PASSES ARE NOT INCLUDED. They can be purchased from Kiln Park Reception. 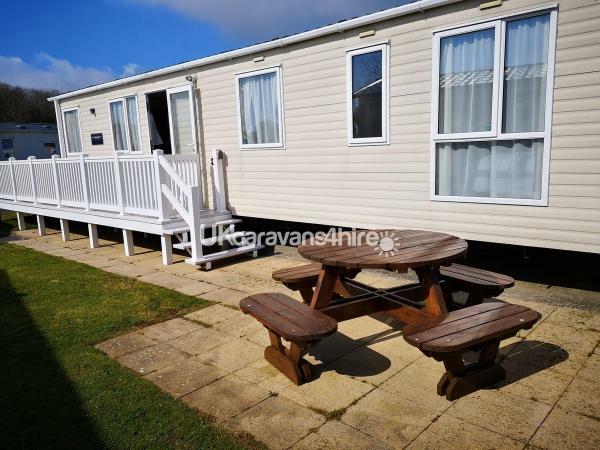 You will be able to access the caravan from 2pm on your arrival day and we kindly ask that you vacate by 10am to allow us adequate time for cleaning. If you have any further questions please feel free to email or call. Additional Info: Heated Outdoor Pool, A full schedule of activities are run throughout the peak season. 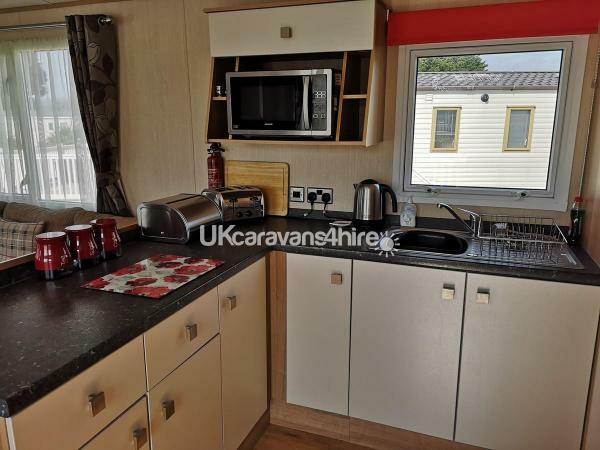 Well maintained and equipped caravan with lots of little extras such as a good range of dvd’s, additional kitchen equipment and tv in the main bedroom as well as in the main living area The location is great just a few minutes from the site shop. We have stayed here before and can’t wait until it’s time to go back again. This is our fourth stay at this caravan. The owners are always fantastic and deal with queries immediately. The location is perfect, with the children being able to play safely. We had a great Holiday at Kiln Park The van was fantastic and in a perfect location near to the outdoor pool, play park and tennis courts. We could sit out in the decking and watch the kids playing which was great. We have stayed in a few Haven Parks and this was one of our faves! Lots to do in the area and Tenby is a lovely town. Hope to be back one day. Thankyou! We stayed at this beautiful caravan on May bank holiday weekend. 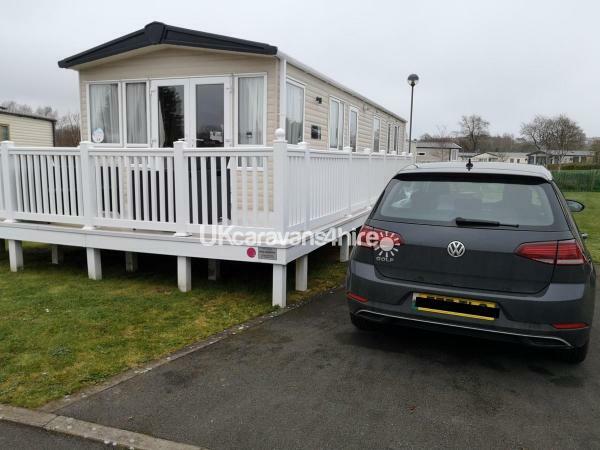 When we arrived at the caravan we were more that pleased, a nice little touch was the owners actually put information of local places to visit and good restaurant's to visit, it became in very handy and highly recommended. 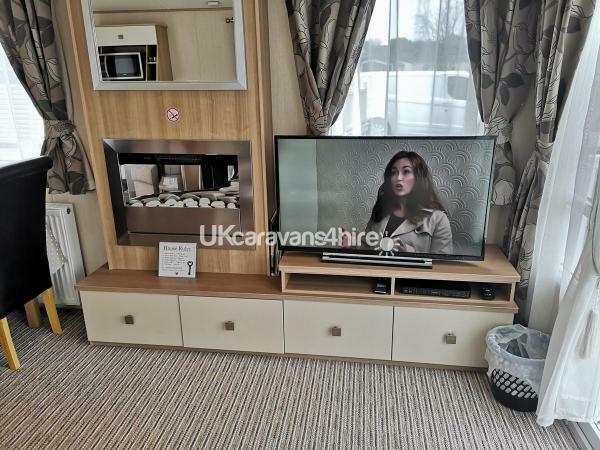 The Caravan was spotless with DVDs available for all ages(another excellent touch), we will defiantly be going back already planning another visit. The Customer Service was outstanding any questions or queries were answered pretty much immediately. 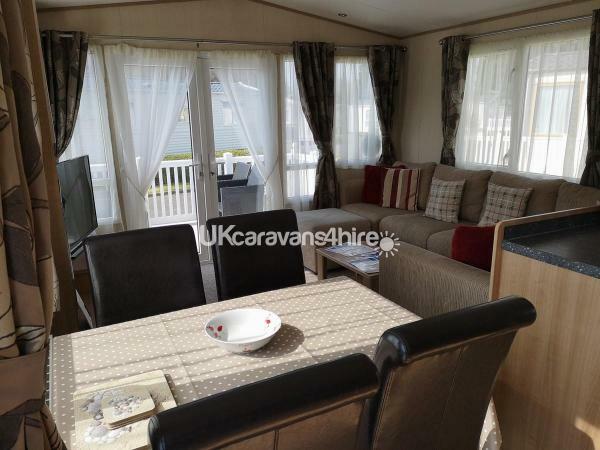 This was a lovely caravan, clean and tidy with everthing you needed. 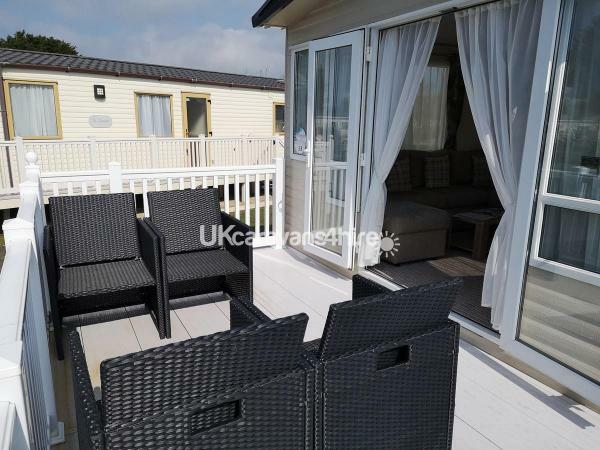 Caravan is situated in a quiet cul de sac, the decking area was great especially with the ratton furniture. Would recommend to anyone and if we had not booked our holiday for next year we would have booked with the owners again. We have had an amazing stay the caravan was perfect in a great location, had everything you could possibly need and we will be going back next year. Cant Wait! Fabulous mobile in a great location on Kiln Park, cul de sac which is very safe for young children. The mobile is beautiful throughout, perfect condition, immaculate, and very spacious with its unique bedroom design. The outside decking area and picnic area give it the extra 'wow' factor. Our second year here and have already booked a return visit! The owners are extremely helpful & do everything they can to ensure an enjoyable stay from the booking process right through to the end. Would recommend this mobile to anyone...its a little piece of heaven! Fabulous clean caravan.Really enjoyed our stay .